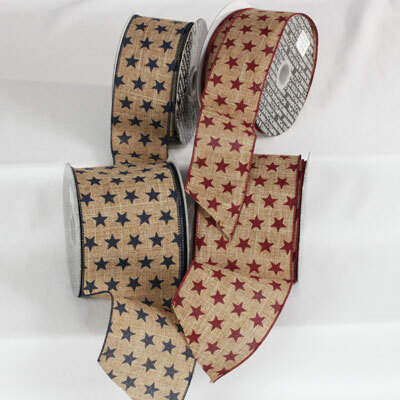 This "Natural Look" Patriotic Ribbon is perfect all your holiday projects. Available in Red or Navy Stars with a coordinating wired edge. The Ribbon Diva we offer a large selection of Patriotic Ribbon ideal for decorating, creating crafts, and making decorative bows and so much more.